The digital business strategies in existence today can be improved by rebalancing three key relationships: minds and machines, products and platforms, and the core and the crowd. The driving factor behind these improvements is the transformation of digital technologies. 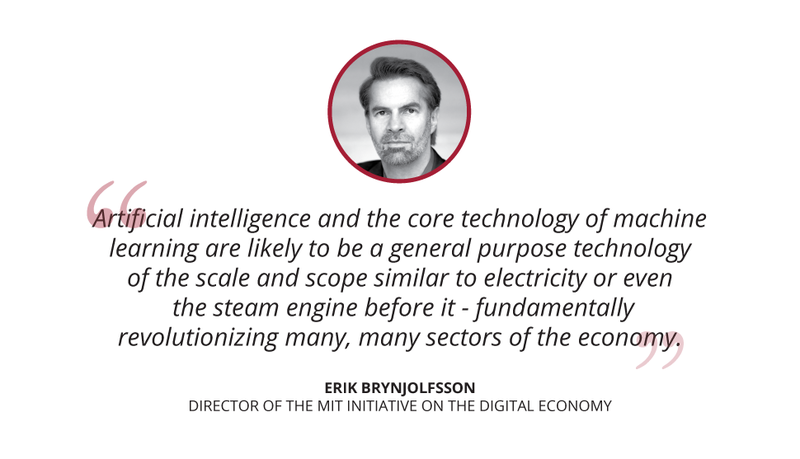 If you asked Erik Brynjolfsson, Director of the MIT Initiative on the Digital Economy and Faculty Director of the MIT Sloan Digital Business Strategy: Harnessing Our Digital Future online program, which technological advancement he’s most excited about, he would say: artificial intelligence. In Module 2 of the program, one of the focus areas is artificial intelligence in business and how this technology can influence business strategies. Below is Brynjolfsson’s view of artificial intelligence, as well as what excites him the most about this online program. Erik Brynjolfsson co-wrote The Second Machine Age: Work, Progress, and Prosperity in a Time of Brilliant Technologies with fellow Faculty Director of the course and Co-Director of the MIT Initiative on the Digital Economy, Andrew McAfee. Their most recent work Machine, Platform, Crowd: Harnessing Our Digital Future acts as a foundation for the content of this online MIT course. Both Brynjolfsson and McAfee are interested in deciphering whether a human is going to be better at solving a particular task or if it’s more efficient to create a system drawing from the strengths of both humans and machines to do something more optimal than both of these could have done individually. In their book, Brynjolfsson and McAfee discuss the current state of AI and how machines are continually improving in their cognitive capabilities. Brynjolfsson discusses how, for the past 40 years or so, programming was essentially the painstaking task of having to write out code in order to get a machine to do anything, and you were required to understand the task yourself before getting the machine to do it. Today, new approaches to artificial intelligence allow for machines to learn their own ideas that humans may not know how to explain. An example of this is facial and image recognition. Brynjolfsson describes how it is difficult to, for example, explain his mother’s face to a stranger.1 Especially if he has to provide intricate details like the space between her ears and her nose. This is where machine learning comes in to play. Brynjolfsson gives the example of using facial recognition to identify his mother in various photographs.2 Instead of writing out code, machines are provided with a large amount of examples of his mother’s face – different angles, different make-up, different ages, etc., as well as images not of Brynjolfsson’s mother. Through algorithms, the machines are now able to work this out on their own – opening up a space where only humans were able to do this. Is it a muffin or a puppy? The speed of acceleration at which AI is improving is drastic. The image above, included in Brynjolfsson and McAfee’s article entitled The Business of Artificial Intelligence, demonstrates the progress of artificial intelligence in the field of image recognition. 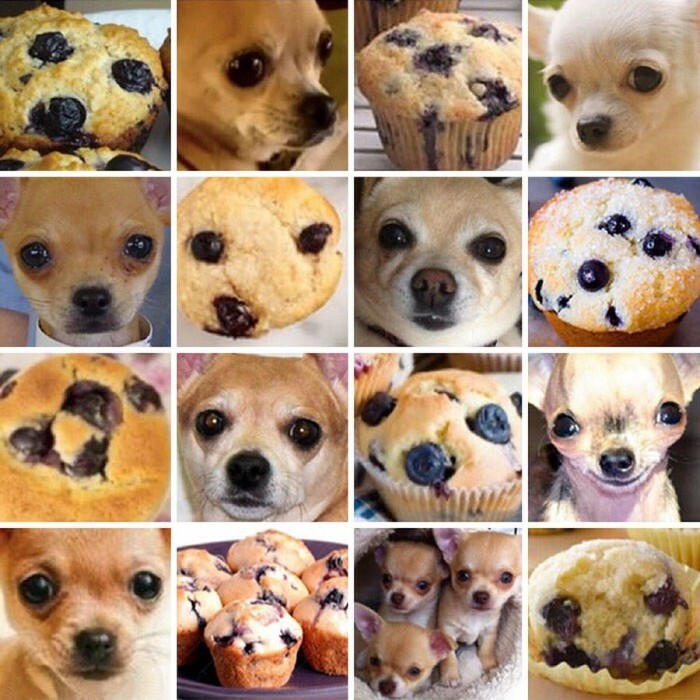 Brynjolfsson describes how machines may be great at distinguishing between muffins and puppies, but they’re not the best when it comes to exercises like making credit decisions, for example. However, he says AI can be a big force multiplier. An example of this would be to receive information and advice on how people at the top of their industry are doing things and then get the machine to learn that and replicate it. Tasks and occupations – an example of this is machine vision systems used to identify the possibility of cancer cells. Business processes – an example of this is how the use of robots and algorithms at Amazon fulfilment centers has optimized these processes and revamped workflow. Business models – an example of this would be utilizing machine learning systems to say recommend music or movies by intelligently predicting what the customer’s preferences are. When discussing the book Brynjolfsson co-authored, his one issue is that it’s impossible to convey the feelings and amount of energy coming from the participants of the program when talking to people for the purpose of research.